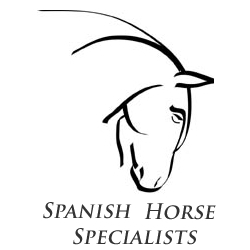 Spanish Horse Specialists: Robert Dover: "The Finest Andalusian I've ever worked with"
Robert Dover: "The Finest Andalusian I've ever worked with"
It has been too long since I wrote and said hello!! How is everything?? You seem very busy, which is great. I wanted to send you the link to "Dover World" Robert Dover's website regarding the Cincinnati Symposium in which Faraon and I rode in. His comments you have to read!! He said Faraon was the best Andalusian he has ever seen or worked with ever!!! We are sooo proud!! Best wishes and regards from my father as well!